Scotch tape, if peeled in a vacuum, emits surprising amounts of X-Ray radiation. Next up . . . fusion from Velcro in vacuo. That makes for one badass carbon footprint. Entertaining as it might seem at first blush, it may be that even in the time of the TNG Space Hippies, the Star Trek galaxy during the Dominion War might be more heavily militarized than was the Star Wars galaxy during the Clone Wars. I say this because of a line in this video, a sneak peek at the Clone Wars CGI series. We know from the AoTC film (and, more explicitly, the novelization) that circa (or soon after) the beginning of the Clone Wars, the Republic had some 1.2 million clones. The line in the video: "Our droid armies outnumber the Republic clones 100 to 1." Per the premiere episode, it is clear this is not a reference to a specific battle or specific region. Thus, this would mean that the number of Separatist battle droids of assorted flavors numbers somewhere between 120,000,000 and, guesstimating, perhaps 500,000,000. That's just five hundred million, for a reasonable top-end. Compare this with the fact that a Cardassian reserve unit on Septimus III numbered some 500,000 men, which Martok described as old men and walking wounded. Even if we assume that this reserve unit, the Eleventh Order (of twelve known), was at full manpower for an Order, this would give the Cardassian military some 6,000,000 (six million) personnel. This seems small for an Order, however. In "The Dogs of War"[DSN7], the number of men under two Guls (one with 100,000 himself) and a Legate was over 600,000 . . . and of course Guls can merely be captains. Cardassian Orders seemed to usually include ships, though, whereas the description of this Order sounded more like a ground force, i.e. an army. 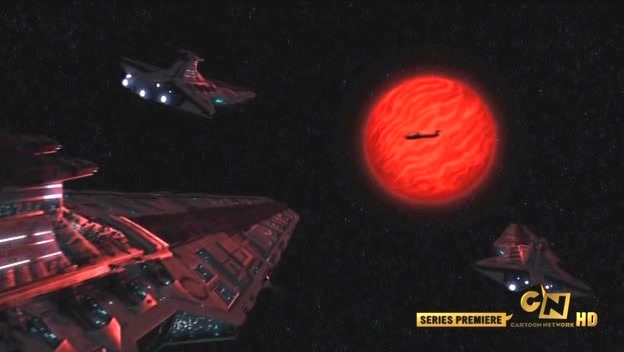 Assuming the Cardassians had perhaps 5,000 ships (of the 30,000 that the DCB Axis was fielding during the latter days of the Dominion War), with average crews of 275 per ship, the total would rise to around 7.5 million. Of course, we know from "The Changing Face of Evil"[DSN7] that seven million Cardassian soldiers had died over the course of two years of war . . . a war the Cardassians were generally winning, thanks in no small part to their expendable Jem'Hadar allies. So clearly the 7.5 million total Cardassian military figure is too low, unless they were all completely replaced in two years with fresh recruits. Surely, then, the correct figure is in the tens of millions. If we assume that the Cardassians had 21 million soldiers (having thus lost a third of them over two years . . . rather high for a war you're winning, but whatever), then they would outnumber the Republic forces anywhere from 4-to-1 to almost 20-to-1. Now, I've previously calculated that Starfleet ought to have some 2.5 million persons on starships alone. Sisko has referred to millions on the line. It follows that the Federation had at least as many soldiers if not more than the Cardassians. So there were six total powers . . . the DCB Axis and the FKR Alliance. If they all had 20,000,000 troops or so, then we'd be looking at a total of 180,000,000 military personnel. That is equal to the low end of the total Clone Wars possibilities, but within the range. But that's only part of the tale. Even multiplying Federation population estimates by six to account for the other five empires in the Dominion War, plus some extra wiggle room, we might find a total population of 20 trillion for the six nations involved. Meanwhile, a rough minimum estimate for the Empire is about 200 trillion persons, or ten times larger. The end result is that, by percentage, the Federation during the Dominion War featured a greater percentage of her population in the military than did the forces on both sides . . . including clones and droids for argument's sake . . . during the Clone Wars. Also noteworthy is the fact that even a small Alpha Quadrant power like the Cardassians managed to lose more troops in two years of war than the Republic ever actually had. While I'm comfortable with the assumption that the Empire fielded a larger force than the Republic twenty years earlier, one can't help but wonder just how large this force might've been. Even at ten times larger than the wartime military, the Empire would have only 12 million troops. The Cardassians would likely still have more. If these values are even remotely accurate, the view of the Empire as a military juggernaut if for no other reason than the walls of flesh they could send against an enemy is suddenly quite a bit different. If these values are even remotely accurate, then, the Empire would have a helluva time doing anything against any major nation in the Alpha Quadrant. - Ship ranges would favor the AQ power significantly, making combat extremely difficult for Imperial ships. - Imperial ships might have a small FTL advantage, but there's not a great deal they could hope to do with it. - Conquest could not be an option, as they would not have the manpower to take and hold a rebellious planet. The first two episodes of the Clone Wars CGI series have shown. I'm actually pretty fond of it so far on a pure enjoyment level. I find that I'm really liking the theme, which (until it hits the BSG-drum-ized SW fanfare) has a really nifty sound. 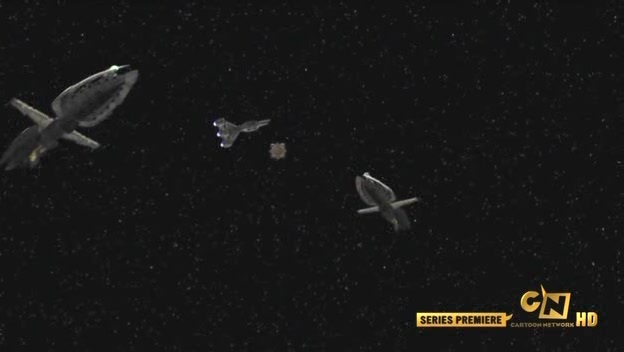 - We get to see the small Republic vessel from TPM again, which is a very nice nod to continuity. The vessel is not especially nimble, it seems, but does the job. It has four four-meter-wide cylindrical escape pods which, given the floorspace, might be able to hold a dozen people. It looks designed for four, though, implying a likely crew of sixteen or less. - Two Separatist warships drop out of hyperspace right on top of the small Republic cruiser. These are referred to in the non-canon as Munificent class and said to be 825 meters in length. Gunnery aboard these vessels appears to be handled by your basic retarded battle droids. 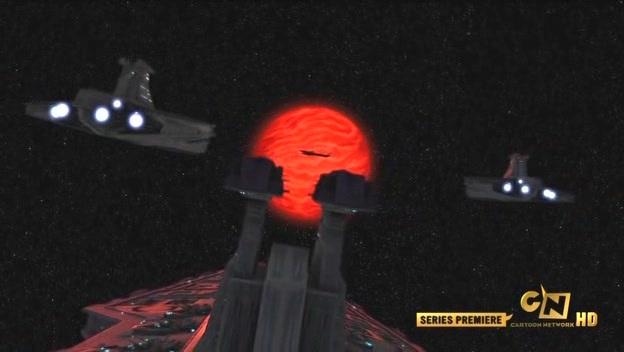 That skinny shadow against the red dwarf is the Separatist warship Malevolence, estimated at SDN to be around two to three kilometers in length, meaning we are not terribly far from it in the above shots, probably less than a hundred kilometers. 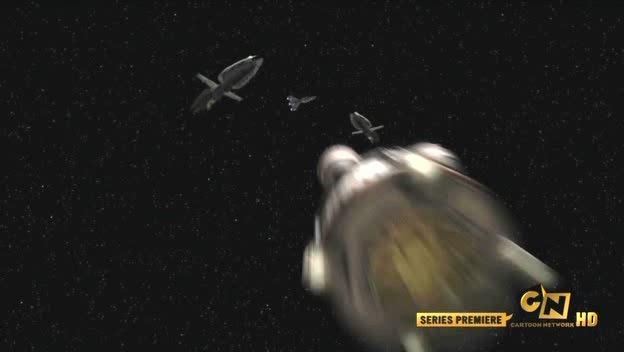 When the Separatist warship prepares to fire its funky ion cannon superweapon thingy, the Jedi Plo Koon aboard one of the Republic Venators orders the ship to fire. The clone officer replies that they are "not in range yet". So even against another large warship, their range is on the order of 100 kilometers. - Clones from the above-mentioned Republic ships were able to operate for a brief time in a low pressure environment (definitely not a vacuum given the light refraction from droid and vessel headlights, but enough to result in death within seconds (with multiple lungfuls of screaming) for unprotected clone officers). The medical droid that looked them over later said that the "pressure suits" provided "some protection" against the effects, but the Clones were obviously not feeling well. The medical droid said they'd need a medical frigate for full recovery. The Jedi Plo Koon also said and demonstrated he was able to "withstand the pressure" for a brief time. Barring some special and not-mentioned difference between the Clone armor in this instance and regular clone armor, it seems that Clone armor does have limited sealing capability. Whether this applies to later Stormtrooper armor is unclear . . . given the usual capacity to see skin, I would assume that if Stormtrooper armor has such capabilities it requires some sort of extra equipment or special preparation. - Both clones and especially droids are again shown to be extraordinarily awful shots. Two clones and a batch of droids do battle at a range of less than ten meters . . . the droids probably fired fifty times and hit nothing. One droid fired for several seconds, first hitting a rock and then firing constantly about a foot to the left of a clone. The clones were victorious, but they probably fired three or four times as many shots as there were droids to shoot at. - Clones are seen to have a rocket launcher and grenades. The rocket launcher is actually fairly powerful, dislodging and cracking up a large rock feature which then smushed several destroyer droids. More to come if I see anything noteworthy. large enough to be recognizable as Venator sections -- also visible. "We're picking up a faint signal," says a battle droid, "from a droid. Not one of ours. They're right behind us." It isn't clear what the signal was. find the escape pods with their working comm systems. What seems more likely was that this was the droid's equivalent of a Bluetooth connection to the ship.